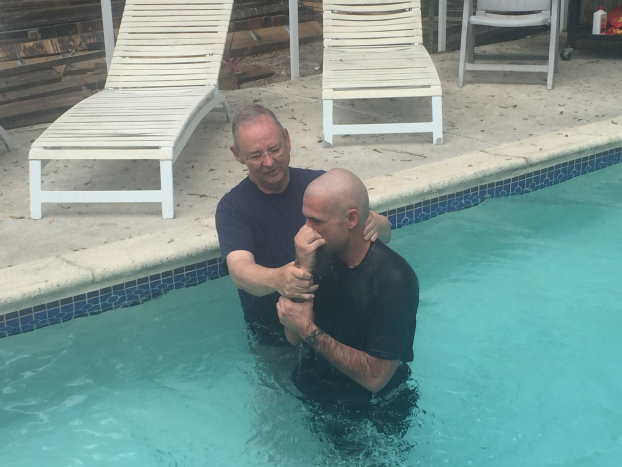 A year ago Charles Young started Vocational Church to help addicts transition back into society and this July, 19 people were baptized as a result of his ministry. Vocational Church is a residential program where addicts can stay in community, learn a vocational skill and find spiritual balance. “My son got me into the world of drug addiction by becoming an addict,” said Young, a member of Bell Shoals Baptist Church in Brandon. 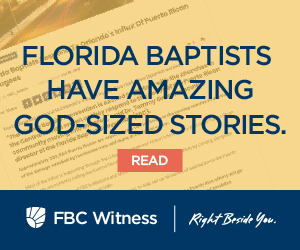 His son, now a former addict, received help at the Salvation Army’s Adult Rehab program, which lasts six months and is, according to Young, “intense but effective.” When his son told him the program was light on evangelism, Young decided to volunteer as a teacher. The men of Vocational Church are overcoming addiction and rebuilding their lives. “I have between 30 and 40 guys in my class,” he said and added that he runs it as a Sunday School evangelistic class. As a volunteer Young saw that the turnover of residents was radical, with sometimes only half of new residents staying for the full six months. And Young noted that even many of those who finish the program end up coming back not long after they leave. “The stay at the Salvation Army can be extended another six months but at the end of the year they go back out and relapse and start recycling back through the program because there is a gap,” he said. Young hopes Vocational Church can fill that gap in the lives of men who have completed the Salvation Army program but who aren’t ready to live without support. In a house that Young had intended as retirement security, he provides a home for 15 men as they work their way toward self-sufficiency and spiritual balance. The cost of staying in the Vocational Church house is $300 per bed but the fee is waived while the resident looks for a job. And since a loss of driving privileges can be a hindrance to finding employment, Young said all his current residents are working toward getting a driver’s license. As people donate cars to them, Young makes them available to the residents for a low cost. “They should be responsible enough to pay for a car and take care of it,” he said. The men attend Sunday worship at Bell Shoals Baptist Church. Stephen Rummage, pastor of Bell Shoals, is on the seven-member board of advisors for Vocational Church. “We are happy to have [the men] as part of our church family,” said Rummage. 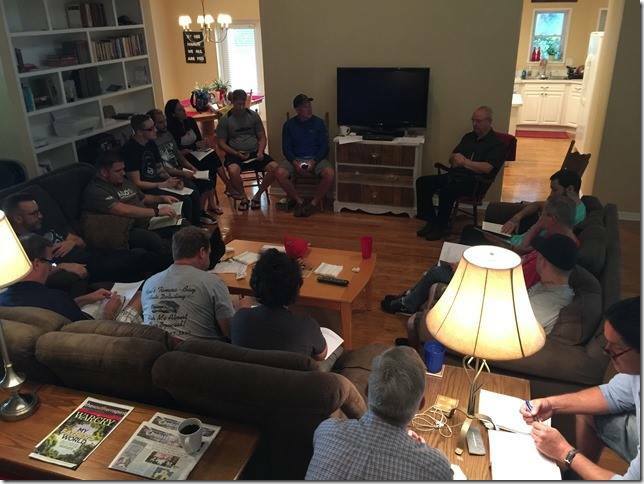 He added that the men’s LifeGroup teacher also speaks highly of them and how they have grown in their faith. To learn more about Vocational Church visit vocationalchurch.net and to read testimonies of the men in the program visit the Facebook group Saints for Souls.